Happy Two Years! :) I'm so glad I found your blog this year. It's one of my favorites! I'm so glad you've been able to find such strong support in the blogging community. Happy 2 Year Anniversary!! I'm so glad I found our blog, it is one of my favorites. Happy 2 years of blogging!! I hope you blog for many more as well. I'm enjoyed your blog! Happy anniversary! HAPPY TWO YEARS! I am so glad you decided to start! Happy 2 years. It goes by so fast. i've been doing it 9 years now. It feels like a blink. Enjoy it every day, every year. Happy 2 year blogiversary girl! Blogging is such a great outlet and a wonderful community! happy two years! this is so awesome. i love blogging, and the people i've met and all that jazz. i would never have guessed that it would be this awesome and the community would be the best part, but it is! Congratulations on your two years of blogging! Happy two years! I'm really glad you blog. I like seeing different perspectives and a lot of bloggers' lives are so different. It's nice to be reminded that everyone is doing their own thing. Happy Two Years!! 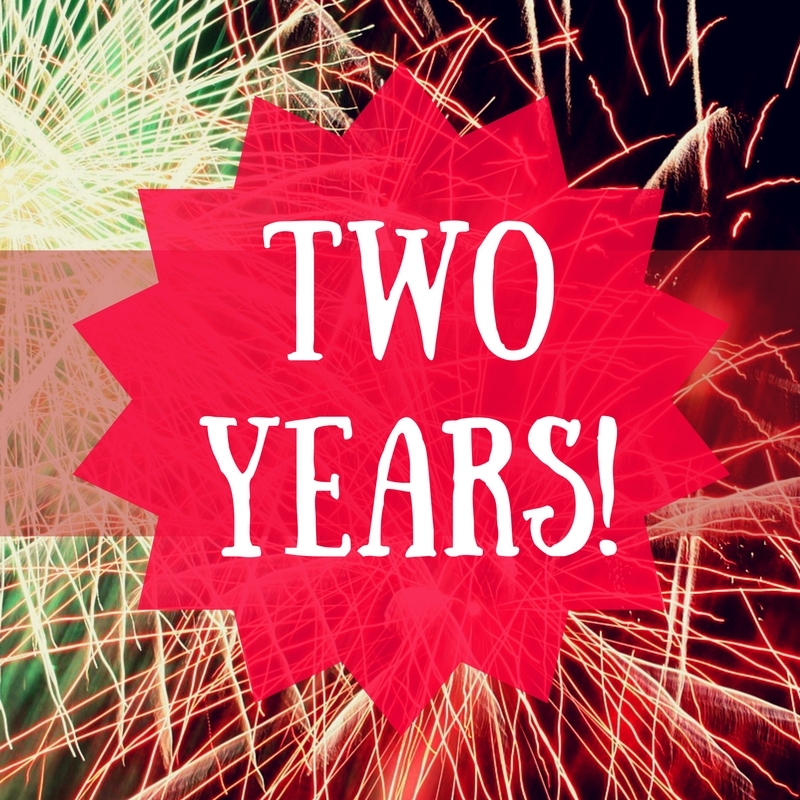 We're really close in terms of blogging- my 2 year anniversary will be in Oct.! I'm so glad you started to write, Olya, and I'm so glad to know you through blogging! Lovely post and happy blog anniversary! It's been fun reading about your move to Chicago and all of your other travel adventures around the world. I hope you a feeling better every day. Happy 2 years!! I'm so glad I found your blog!! Happy blogiversary! SO glad that blogging has been such a blessing to you, girl! I've loved getting to know you! Happy belated blogiversary! The blogging community is so great, and I've loved getting to know you over the past two years! Happy blogiversary! I'm so glad I started blogging too - it's such a great community and way to unleash creativity!